We repair and install all brands of garage doors and garage door openers. We stock a large inventory of parts to ensure we have what you need to get your garage door back in operation. Subcon Door Company has been in the garage door industry for over 35 years. We repair all brands of garage doors and garage door openers. 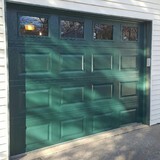 When in need of a new garage door, we have a full line of new energy efficient doors. We also carry a large inventory of garage door springs and parts to keep your garage door system in operation. A garage door is one of the largest moving parts in your home and safety is of the highest importance. Regular maintenance performed by a professional door service company will help prevent accidents and costly repairs. 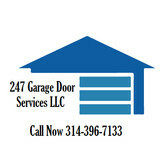 Garage door repair/service company that is open 24 hours a day saving customers money, gives 5 star customer service, serving st louis north county , st louis west county, st louis south, st charles county, st clair county il, madison county il.special prices for seniors, teacher, veterans, police officers. company provides residential and commercial services for all areas. ST. LOUIS GARAGE DOOR REPAIR, INSTALLATION, AND SERVICES Garage Door Repair in St Louis, MO. 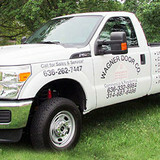 Wagner Garage Door is a locally owned and operated St Louis residential and commercial garage door service provider. We proudly service the Greater St Louis area with garage door repair, installation and maintenance services. Wagner Garage Door is committed to providing residents and business owners in the St Louis area with high-quality customer service and garage door repair. Our team of garage door technicians have the experience and knowledge necessary to repair your garage door quickly and efficiently. We want only the best for our St Louis customers, which is why we carry superior garage door products from industry leading brands, Clopay, Genie, Chamberlain and Liftmaster. With our 24/7 emergency repair service, you can count on us to be there for all of your garage door maintenance and repair needs. We ensure that our customers are 100% satisfied and we are proud to offer three, five, and seven-year warranties on all of our American-made parts and services! If your current door is off track, malfunctioning, or just needs to be serviced, we’ve got you covered. Our experienced technicians provide the best garage door services to residential and commercial customers in Jessup and the surrounding areas. We pride ourselves on delivering high quality installations, dedicated customer service, and fast repairs. We have the best professionals in the business, the highest quality brands of garage door products (Craftsman, LiftMaster, Linear, Ramset, Genie), and are proud to serve our local customers with the best garage door service in town. We are open 24 hours a day, 7 days a week and can normally arrive within the hour. Call today and ask about our specials! Whether it’s garage door installation, maintenance, or replacement, we’ve got the methods to get your job finished with your complete satisfaction. Our trained and certified technicians are happy to supply you with rapid responses and affordable repairs during any time of the day. We provide a full 25-point inspection of your broken garage door or garage door opener system and recommend only the repairs that you actually need, as well as the cost of the repairs before any work begins. We stock only the highest quality brands such as LiftMaster, Wayne Dalton, Craftsman, and Genie. Our services are available 24 hours a day, 7 days a week so you won’t have to wait long until your garage door is working like new again. A leader in garage door installation and repair, we offer the finest quality doors, installation, service and repair that Virginia has to offer. We only carry top-of-the-line brands (Craftsman, LiftMaster, Wayne Dalton) and offer options unmatched by anyone else. We will ensure that you get the quality and convenience you expect from your garage door’s functionality. Our services cast a wide net as we will help you from the beginning of the selection process all the way through to the installation of your beautiful new garage door. Whether you are in the market for a traditional garage door, need a quick repair, or a new commercial door for your business, call today to schedule a consultation with one of our friendly professionals. 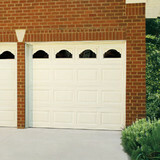 Spring replacements are one of the most common repairs required on garage doors. Garage door springs should never be adjusted or repaired by individuals who are not properly trained to perform this task and do not have the proper tools. Operating your door with a broken spring is not only dangerous; it will cause additional damage to your garage door and electric opener systems. Luckily, you can rely on us to take care of the job safely and efficiently. Our repair specialists are experienced, certified, and knowledgeable about all components (not just springs) of both residential and commercial overhead doors. Call us today! When in need of a garage door repair, you want professionals that are not only experienced in repairing garage doors, openers, and torsion springs, but who will also deliver a reliable finished product. You want to be confident that your garage door will work properly and be an attractive asset to your home. The most important considerations are to find someone who not only works in your area, but also has an excellent reputation for quality service at reasonable prices. We provide the highest quality of repair of garage doors and garage door openers. Our skilled professionals use only the finest tools and materials to fix whatever issues your garage door may be having. We have the experience and expertise to get the job done right the first time. Call us today and ask about our specials! Have you taken a look at your garage door lately? Is it worn out? Does it not open and close as smoothly as it used to? Then it might be time to give us a call. Our residential garage door repair services start with diagnosis and then solving the problem accordingly. As a result, we come to know about the exact condition of your garage door. Most garage door owners trust us to the core because they know that we maintain the highest standards for our customer service. Our technicians have an extensive knowledge and capability of resolving the issue within the minimum possible time. In fact, most repairs can be completed within one hour. In addition, we offer emergency services 24 hours a day, 7 days a week. So what are you waiting for? Proper garage door installation is needed in order to maintain peak performance of garage doors, openers, and all of their mechanical and electrical components. Attempts by a non-professional can easily create safety hazards for the owners and anyone using the garage door. Save yourself the worry and future cost by having our professionals provide a reliable, expert garage door installation. Our residential garage door repair services start with diagnosis and then solving the problem accordingly. As a result, we come to know about the exact condition of your garage door. Most garage door owners trust us to the core because they know that we maintain the highest standards for our customer service. Our technicians have an extensive knowledge and capability of resolving the issue within the minimum possible time. Call today to speak to one of our friendly professionals! Not all garage door problems are discovered during an owner’s leisurely inspection of their home. We offer other basic garage door repair services like fixing a door off track—a common occurrence, especially with older doors. A garage door’s cables and tracks are the two components with the most frequent issues. We can help if you have a cable loose, cable snapped, a cable of the door dispatched from the drum, or any other garage door related problem. Our experienced technicians can complete most repairs within one hour and are available 24 hours a day, 7 days a week for your convenience. Call today to speak to one of our friendly experts! Garage Door Spring Repair Augusta mo 636-487-4707 Your garage door is much more important than you think. It helps to regulate the temperature in your house—even during the humid summers and bone chilling winters. 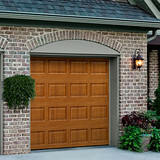 If your garage door is broken you should repair it as quickly as possible to save yourself money on heating and cooling. We are here to assist you with any garage door needs. Our professional staff offers garage door services using only the highest quality materials and most trusted brands such as Craftsman, Genie, LiftMaster, Linear, Ramset, and Wayne Dalton. Most technicians can repair and service your garage door in less than an hour. We are available 24 hours a day, 24 hours a week for your convenience. Call today to speak to one of our friendly technicians! Garage Door Repair Earth City MO 314-380-4710 A garage door is necessary for your home, but you cannot afford for it to be improperly installed. All it takes is one mistake, and you could be risking thousands of dollars in damage or even severe injury if you or a loved one happens to be in the wrong place at the wrong time. Garage door installation is a complex undertaking for a novice. Without the proper tools and experience, attempts to fix a garage door yourself can put you in harm’s way. Leave that job to us. Our staff of experienced, hard-working technicians will work diligently to meet and exceed your expectations on every garage door installation and service job. We are available 24 hours a day, 7 days a week to handle any emergency garage door repairs you may need. Garage Door Spring Repair Waterloo IL 618-215-5585 Sick and tired of struggling with your overhead garage door? Call the experts! We specialize in the installation, maintenance and repair of commercial and residential garage doors. Our professional staff offers garage door services using only the highest quality materials and most trusted brands such as Craftsman, Genie, LiftMaster, Linear, Ramset, and Wayne Dalton. Businesses and homeowners alike can count on our technicians to inspect their garage doors and provide maintenance or repair work as needed. For those who have grown tired of fighting their old and worn-out garage door, our repair and maintenance service can upgrade a manual door to a manageable automatic system. Regardless of the job requested, our customer service oriented staff works closely with clients to ensure they are happy with the result. Security, durability, and good looks are built into every door installed by us. Most technicians can repair and service your door in less than one hour. In addition, our services are available 24 hours a day, 7 days a week. Garage doors and gates are valuable assets to a Murphy, MO home’s curb appeal, security system and storage needs, so when they need to be repaired, it’s always smart to hire a local garage door repair professional. A Murphy, MO garage door maintenance pro can fix a wide range of components, including exterior damage, parts, openers and weather sealing. What types of garage door service tasks do contractors in Murphy, MO provide? A damaged garage door can lead to increased security risk, ruined belongings and an unpleasant exterior, so look for Murphy, MO repair professionals who provide same-day or emergency services if the damage is extensive and poses a potential health and safety risk. Find Murphy, MO garage door repair professionals on Houzz. Narrow your search for garage door repair professionals by selecting the nearest city or zip code. Look at portfolio and product photos, and read reviews to find the best garage door contractors in Murphy, MO for your home.